Home » News » D6 Night Market Entertainment and Vendor List! 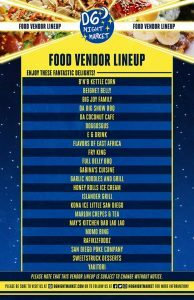 D6 Night Market Entertainment and Vendor List! 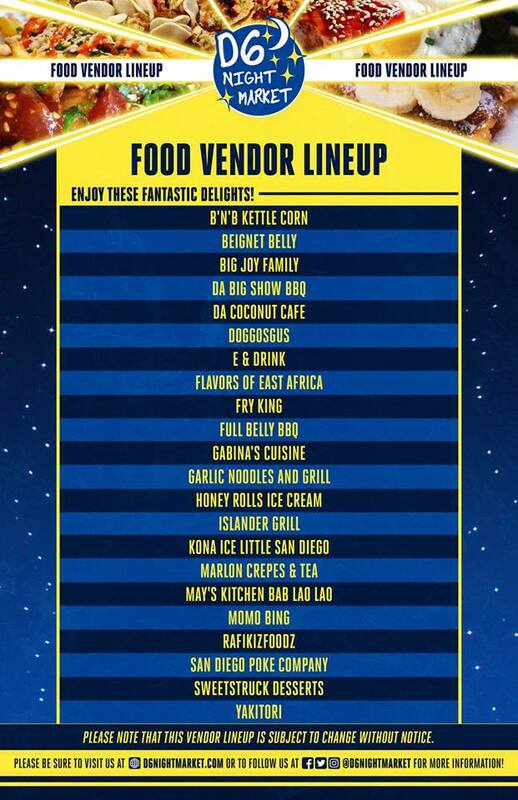 The most exciting part of the upcoming D6 Night Market is the FOOD…and the entertainment, too! Listed below are the two stage schedules, as well as a graphic of our participating food vendors! All participants in the entertainment line up and vendors listed above are subject to change without notice.